SkySea Cruise Line has just completed its five-day "Golden Memories Farewell Cruise" aboard its flagship SkySea Golden Era. The 2,000 passenger SkySea Golden Era departed Shanghai filled with loyalty guests, travel agents, industry leaders, vendor partners and company employees with their families as the brand neared its official end, according to a statement. 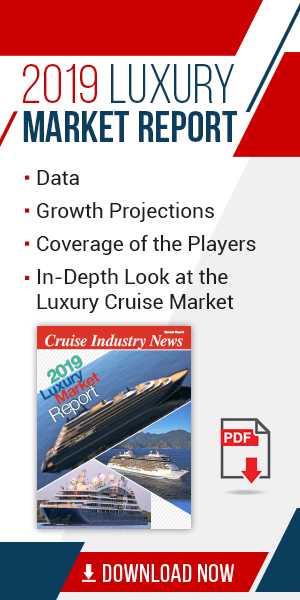 “While we originally had every intention of growing the brand, it had become clear that the Chinese consumer was driven toward the newer and bigger hardware that had infiltrated the market in recent years, making it difficult for us to fulfill our dreams” said Ken Muskat, CEO of SkySea Cruise Line. “I could not be more proud of our shipboard and shoreside employees for their determination and commitment to the company. We not only established a brand name in the market, but after announcing last March that we were ending operation in September, the brand still broke all-time company records in the areas of employee satisfaction, crew satisfaction, guest satisfaction, load factors and onboard revenue performance. This is a true testament to the kind of employees I had the pleasure of leading and the partners I had the pleasure of working with." During the five-day sailing, guests were treated to unique activities, memorabilia, the best entertainment acts from the past three years, a special Captain’s Gala dinner, the finale of the well-known SkySea Voice competition and special shore excursions during a port call in Sasebo, Japan along with an enthusiastic send-off by the Sasebo Mayor and community. The cruise culminated with a black-tie gala event consisting of tributes to the crew, employees, travel agents, vendors, industry officials and guests. Since the company launched in May, 2015, Founder and SkySea Chairman Min Fan set out to establish a brand that would become known for its perfectly blended East-meets-West vacation experience. The brand operated close to 300 cruises and carried nearly 500,000 guests over three years, according to a statement. SkySea Golden Era has now set sail on her final voyage from Shanghai visiting Fukuoka, Japan and returning to Shanghai on September 2 before relocating the ship to Europe where Marella cruises will take delivery in January, 2019.